SISSTER wows LA at the release party for her debut self-titled EP Reviewed by Patrick O’Heffernan on February 11, 2019 . SISSTER wows LA at the release party for her debut self-titled EP; San Diego’s is next, then the world. 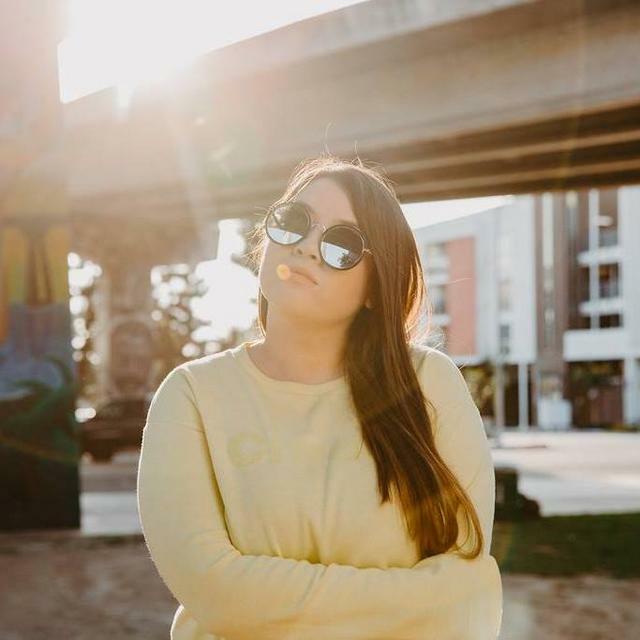 (Los Angeles) SISSTER wowed an LA audience when she released her self-titled EP last week and demonstrated why she is so popular and so beloved. You could feel the love in the air at the Sunset Blvd multi-venue Los Globos when SISSTER strode onstage. Barely reaching my chin but with the power to fill a room with sound, the brilliant soloist, singer and composer from Chula Vista, California, blew the roof off of the club as she belted, wailed, and sailed through a kinetic nine-song set list and then came back for an encore. Produced by LA’s prolific The Living Sessions promotion group, the event was the LA release party for her new CD, Sisster – she has also scheduled a San Diego area party on Feb. 23 at Chula Vista’s Manhattan Bar. The diverse audience that crowded into the main venue at Los Globos were treated to an unforgettable experience, both in its musical power and prowess, but in SISSTER’s refreshing ability to connect lovingly and honestly with her audience. Speaking in English and singing in both Spanish and English, Galindo more than warmed up the crowd – he easily got them rocking and head bobbing and laughing. Playing rhythm acoustic and accompanied by his bandmate on an electric, he delivered high energy romantic ballads, singer-songwriter gems and just plain fun. The perfect setup for SISSTER. Bounding onstage in a silver hoodie and positioning herself in front of a huge neon projection of her logo, SISTER started the party with a jolt, ringing out “Give Me Your Heart” in English to a powerful high tempo kick drum beat, synth riffs and background-building base chords. Clapping over her head, she got the room moving right off the bat before throwing back the hood and belting with her aggressive soprano voice, shaking her head back and forth to urgency of the pounding drums. After giving onstage shout outs to the team that produced the concert, she moved to the keyboard, set up a slower pace and more personal tone, then took the mic from the stand to step and sway to “Arriba Abajo”. 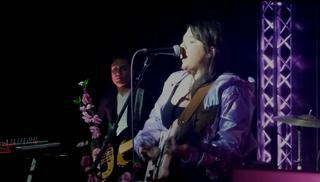 Switching back to English for the more melodic and poetic “Bigger than the Dream” from the EP she wove back and forth around the pink flowers decorating her mic stand, grinning through the entire song along with her audience. House and stage lights went down as glow sticks were passed out to the audience. SISSTER waved a thick light rod of her own and launched into the EP’s “Quiero” with its driving beat and sailing vocals. The lighting shifted to strobes, SISSTER picked up a ivory colored electric guitar and gave us “Pincipe Azul” at the top of her range, paused to tell about the origin of her stage name – she has two sisters and her heroine was Selena so it seemed like she was a sister – and then put the guitar down, stepped back and took the microphone in hand for “Como La Flor”, delivered with emotion and power that was palpable through the auditorium. Setting up for a big finish, SISSTER launched into the EP’s high powered “Tu Y Yo” with her signature head and body shake-turn as she clapped her hands over her head. 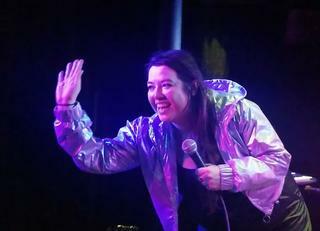 The big finish was “Quedate Aqui” (Stay Here), also from the EP, delivered as a rollicking, rousing dance number with synth riffs and soaring vocals. Of course it was followed by calls for “otra!” as Living Sessions MC Julieta Isela came onstage to thank SISSTER. And, of course there was an encore, her operatic-pitched take on Rhianna’s “Love On The Brain” one of the most powerful, songs of the night. SISSTER was self-produced and is a perfect introduction to a burgeoning multi-talented Latina who bridges cultures, languages, and genres with ease. The songs in English and Spanish are addictive and joyful even when they are urgent; they make the EP an important milestone in what will be a stellar career across both the US and Mexico. The EP also features John Avila (bassist of Oingo Boingo) and composer Anton Soder. 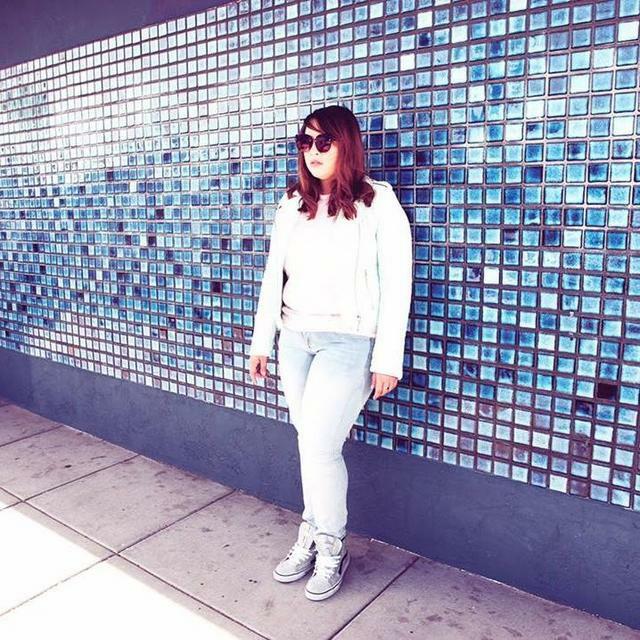 SISSTER has been long anticipated as SISSTER has released singles and built a following in Southern California and Mexico with her electric live performances. She has been in music for most of her life, even learning the trumpet in high school to play in a marching band. Later, she picked up the electric guitar and experimented with different genres as a member of rock, pop, blues and rockabilly bands. 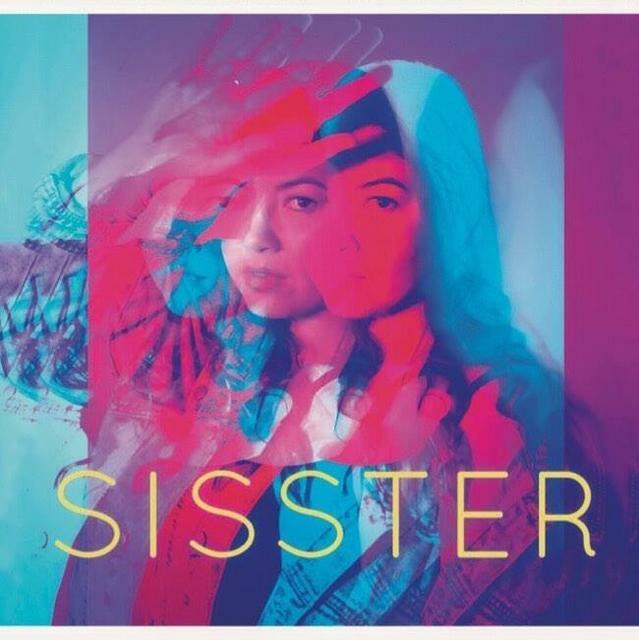 SISSTER continues to wow audiences – and win them over as fans – in the United States and Mexico with her lyrical sound, powerful voice, and visceral synth-pop beats. She is unique and wowed me so much I may just drive down to Chula Vista for the second SISSTER release party. That would give me two unforgettable musical experiences in one month. Wow. SISSTER, the EP, released on Rebel Kid Records, can be streamed at Spotify Soundcloud can be downloaded on iTunes.